The charming village Pissouri, is located in the Limassol district about 30 kilometres west of Limassol between Limassol and Paphos. 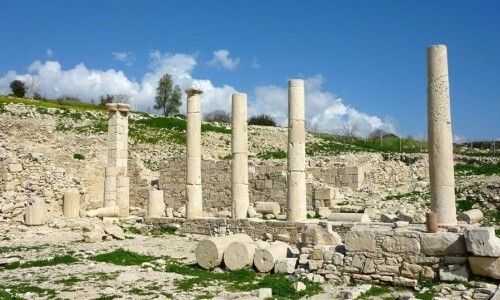 It is the 3rd largest village in the Limassol district and extends from the sea to the south. In addition the village of Pissouri is located in a green area on a slope of a hill at a distance of 3 kilometres from the cape “Aspro”. 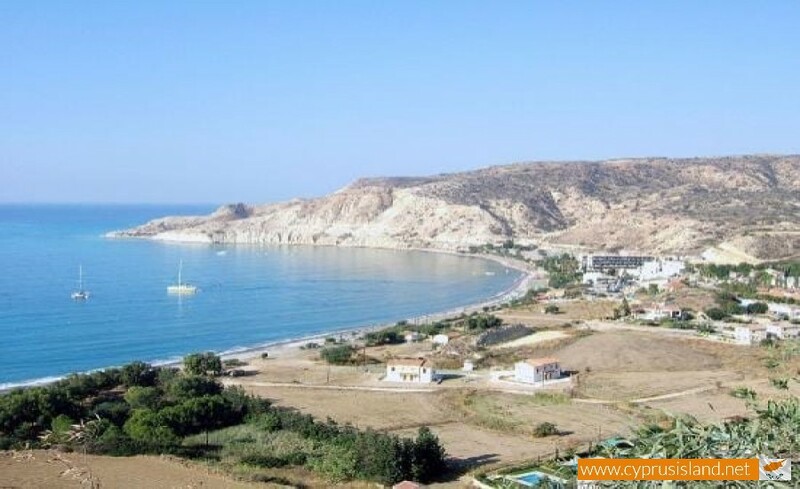 Pissouri, is also considered to be a very beautiful village with wonderful beaches. 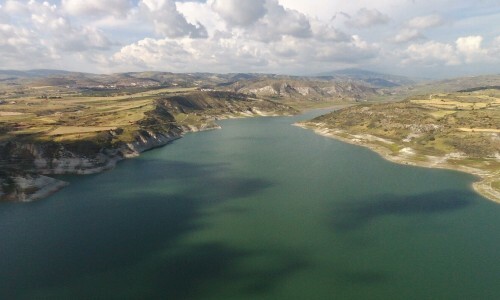 The ancient town Voosoura which is located at the border of the village, is a possible origin of the name of Pissouri, as the historian Stravon mentions. Also some incidents which occurred on very dark nights may have given the village its name as the word “pissouri” means pitch black. According to tradition 300 “Alamanoi” saints who came to Cyprus from Palestine, stopped in Pissouri during a pitch black night. Finally it is believed that the name of the village has a simpler explanation. Gum was once produced in the area and that is how it got its name. The gum from the pine trees must have been produced during the Byzantine period of the ruling of the Franks. 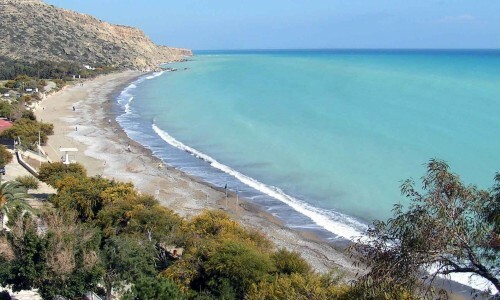 Pissouri has an annual rainfall of about 447 cm. Its main produce is the soultanina grapes which are mainly produced in the magic valley that extents until the Pissouri bay. Olives, carobs, and some almonds are also grown there. The village met a continuous population increase. In 1881 its residents were 482 which increased in 1931 to 956 (860 Greek Cypriots and 96 Turkish Cypriots) and in 1960 they were 1072 (1053 Greek Cypriots and 19 Turkish Cypriots). 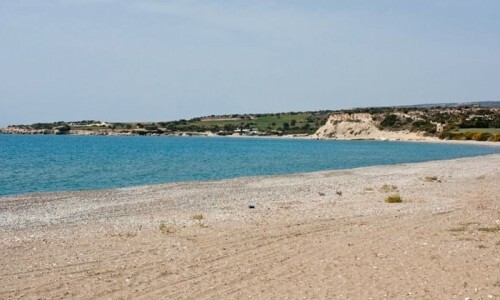 After 1964 and due to the communal incidents which followed the Turkish mutiny, the few Turkish Cypriots of Pissouri abandoned the village and moved to neighbouring Turkish villages after the instructions from Ancyra. In 1973 all the Greek Cypriot residents of Pissouri were 1030. Today the residents of the village including the foreigners are 1400 residents. 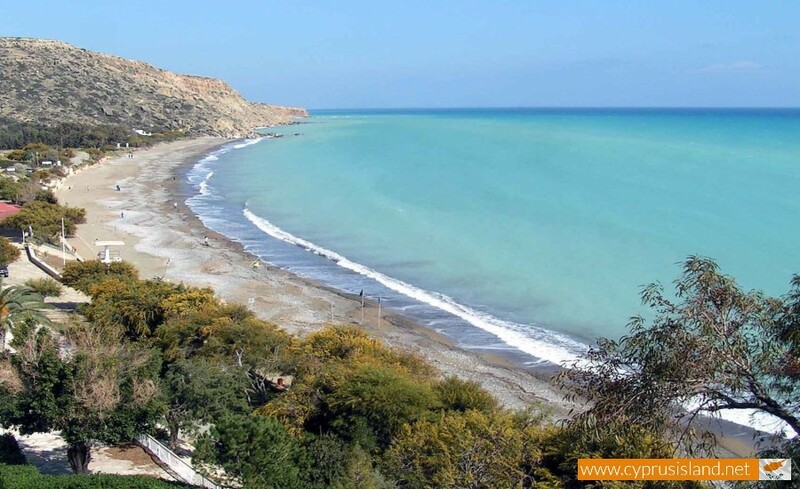 During the last few years, the tourist development of Pissouri and the beach of Pissouri has increased. The beach has a particular beauty and has been given a blue flag by Europe. 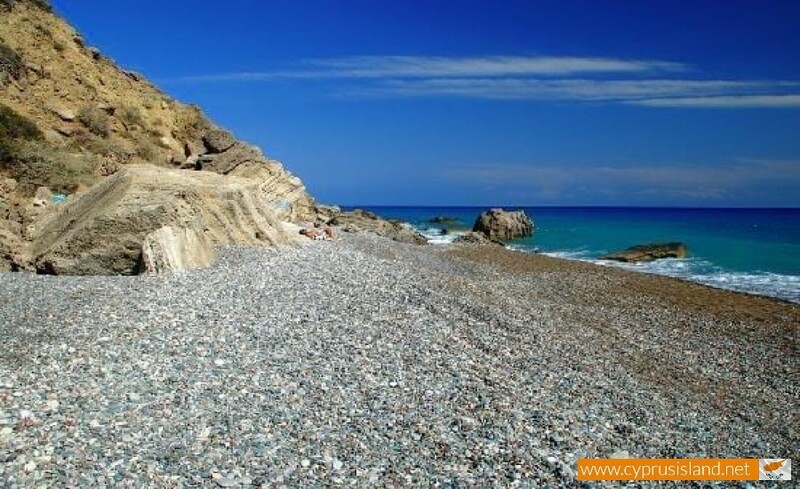 Besides its clean blue waters which make it attractive for the tourists , the beach extents to a magical scene of nature which begins from the cape Aspro and ends at the rocky area which is called Mavrorotsos. Protected by the cape Aspro it created a great combination of sea and mountain which give it its uniqueness. In the beach area there is the Columbia hotel as well as many other tourist resorts, restaurants and tourists shops for the locals as well as the tourists who visit Pissouri every day for its unique beauty. 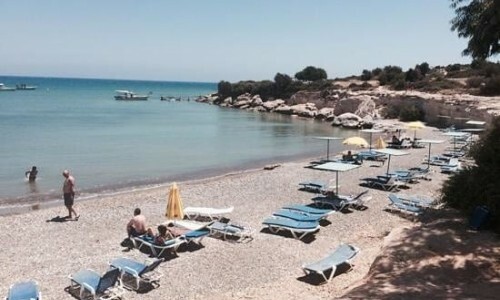 Pissouri can be characterised as one of the most admirable tourist areas in Paphos, due to the fact that it combines mountain and sea, has all the facilities for a pleasant stay and stands out for its hospitality and the warm friendly atmosphere which a foreign visitor can meet. 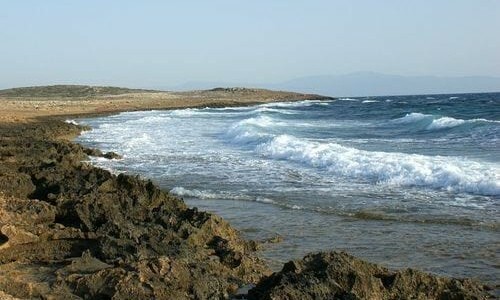 The neighbouring of the village along with worthy archaeological areas of Kourio and Palepaphos give the chance to the foreign visitors for short trips to these areas. 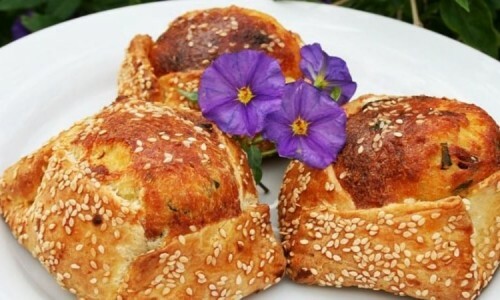 Finally we must note that every summer in the village square there is traditional Cypriot food in a happy, fun atmosphere which is created by the artistic programmes of the various music and dance groups. The small chapel of Saint George is located in the area Kamaroudi on the road towards Alektora at a distance of 3 kilometres from Pissouri. It was constructed in 1958 by Mr. Aristos A Liasidi. The chapel is celebrated every Easter Wednesday. The chapel of Prophet Elias is located in the pine mountain peak of Saint Elias west of Pissouri and at a distance of 2 kilometres from it. It was built in 1960 at a carved rock by the help of Mr. Agamemnonas Ar Fouta. The chapel was renovated in 202 the chapel has ancient hagiographies on the interior of the rock. The church is celebrated on Easter Monday and on the 20th of July. 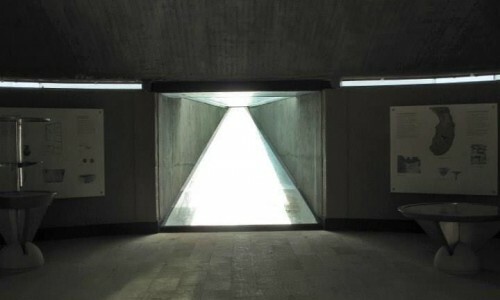 The chapel of Agios Alexandros was built in 1990 at an area which Mr. Leonidas Liasides Kotzias donated along with a money donation by Mrs. Galatia Kiriazi. In the early years, there was a large bush with tremith trees where the Christians went to pray. They would hang various clothing items from sick children so that the Saint would heal them. The saint is celebrated on the 30th of August and on the 12th of December. To the east of the Linidon valley at the foot of the hill of Agios Mavrikios, on the remains of an elder church, is the church of Agios Mavrikios. 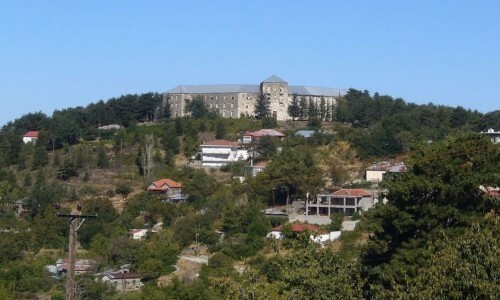 The church was built with the assistance of the family of Mr. Periklis Stasi. With the help of the residents of Pissouri, the church grew, was maintained and was fenced in 2001. 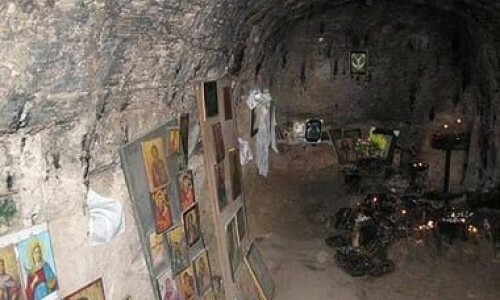 Saint Mavrikios is the saint of skantharon. By taking soil from the church and making it into mud, you then place it on the part where you have the skantharos. In a few hours the patient is healed. He is celebrated every year on the 12th of September. The ancient church of Agios Mavrikio was recently renovated and is an attraction for tourists as well as many Christians. Every Easter Thursday the church is operated and there is a huge festival in dedication to the saint. The chapel in dedication to the Virgin Mary was built at the Akonopetra hill, west of the community amphitheatre. 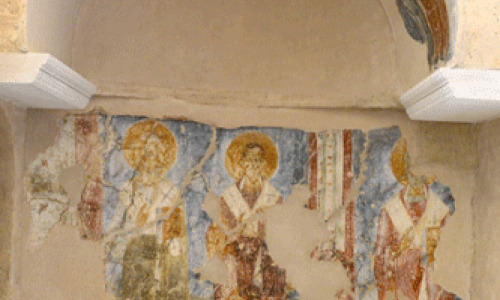 The area belongs to the church of Apostle Andreas and the construction was done by donations from the residents of Pissouri and from Mr. Kyriako Mavroudi. It is celebrated and operated on the 21st of November.